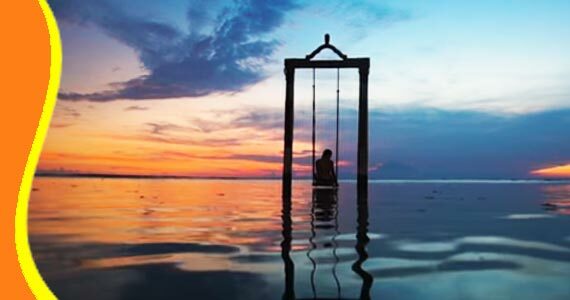 Is a neighbouring island of Bali, famous with pearl producing island, beautiful panoramas, mellow beaches of the Gilis, and great snorkeling or diving. The climate of the region has a perfect annual temperature ranging between 21 to 33 degrees and has only two seasons, the Dry from May to October and the Wet from October to April. Two third of the 3.6 million population live on Lombok which is home to Sasak people - a group of indigenous people who inhabit various arts of the island, some of them still live a traditional lifestyle. In western Lombok, descendants of Balinese who sailed over the Lombok straits centuries ago, still reside. They retain their Hindu beliefs and intricate ceremonies, while the Sasak neighbor are predominantly Moslem. The diversity of people provide the region with a rich tapestry of dialect and diverse range a language, traditional dance and music and rituals. In addition, beautiful pottery making, cloth weaving and painting are done using skills passed down through the generations. On Lombok the influence of Javanese, Hindu and Islamic cultures can clearly be noted in the traditions of the society. 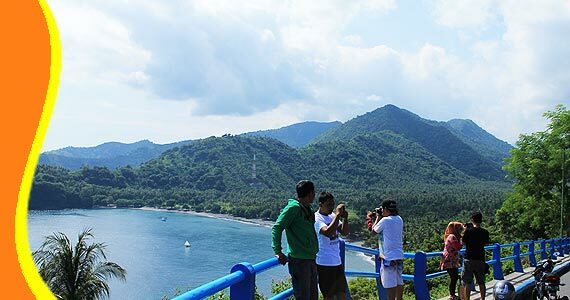 Lombok can be easily reached from the main cities of Indonesia, such as Jakarta, Surabaya and Bali, served by Garuda Indonesia, Lion Air. And also from Singapore and Kuala Lumpur fly to Lombok. 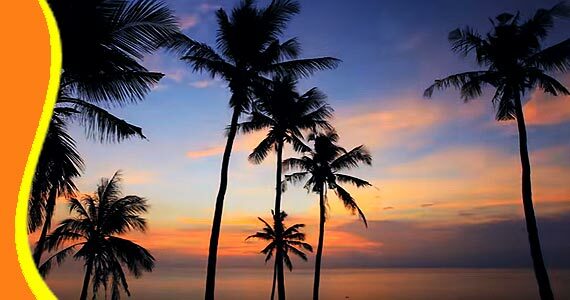 From Bali, Lombok is very conveniently connected by daily flights. Car and Passengers ferries depart from Padang Bai harbor in Bali to Lembar harbor in Lombok v.v. every hour daily, which takes approximately 4 hours. Or another option, by fast boat from Serangan or Padang Bai, and arrive in Senggigi or Teluk Nare, or Gili islands. 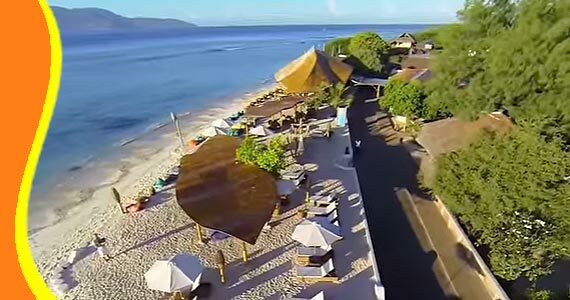 Senggigi Beach : There are hotels and restaurants of various classes, also culinary and shopping tourism are its main attractions. Gili Island (Gili Air, Gili Meno, Gili Trawangan) : Great snorkeling and diving mellow beaches that were free of motorized vehicles. 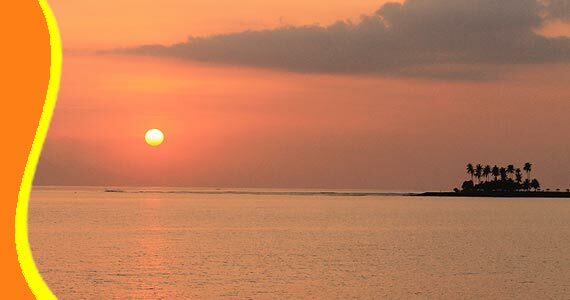 Batu Bolong and Malimbu : A hilly area to watching the sun as it sets slowly behind Bali's towering Agung Volcano. 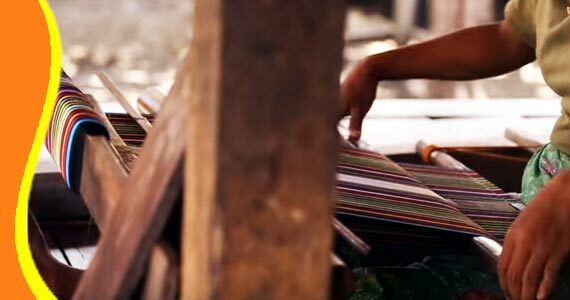 Women of Lombok doing an activity for making traditional Weaving Sarong. Sasak Villages in Segenter : Untouched village by the detrimental excesses of modernisation. 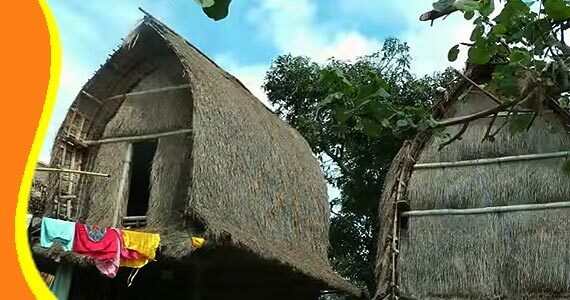 Their houses are still made of bamboo, as is clearly visible in their walls and frames, while the roofs are made of tall grass. The most curious elements are the floors, which are made from mixture containing water buffalo or cow dung. Bale Lumbung, The traditional houses of Lombok that function as a place to store agricultural products. Bale Lumbung are also an icon of the village of Sade Lombok, its very unique and distinctive. 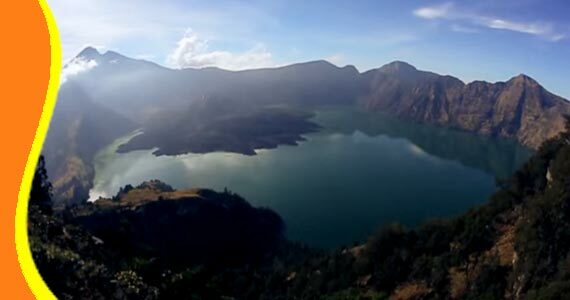 Mount Rinjani : Climbs up to Segara Anak Lake (2,000 metres above sea level) and beyond to the top of Rinjani (3,200 metres), is one of the most handsome volcanoes in Indonesia. Sendang Gile : The most famous waterfall in Lombok with gorgeous view and the water seems to slice down through leaves and tree trunks. Sembalun : The village, which lies just to the east of Rinjani, is a picture perfect combination of mountains and savanna. 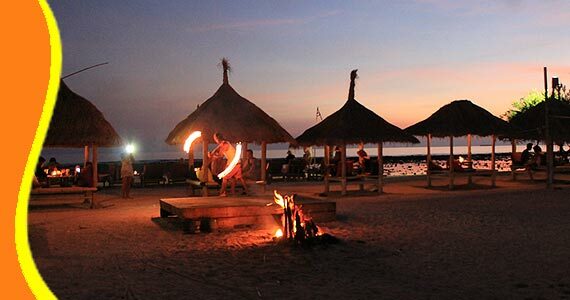 Kuta Beach Lombok : Is a blissfully quiet area and features beautiful, yellowish-white sands. Penujak Village and Banyumulek Village : An earthenware craft centre in Lombok. 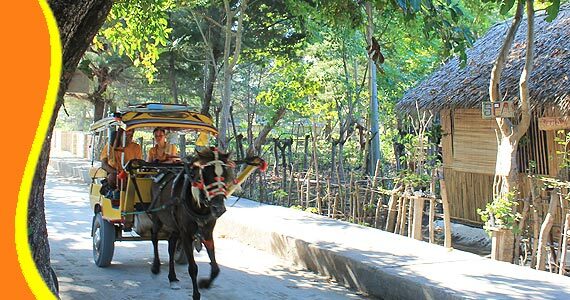 Sade Village : A traditional village in Lombok to see an original and rare Sasak rice granary. Tanjung Aan Beach : Soft and powdery sand beach in Lombok. 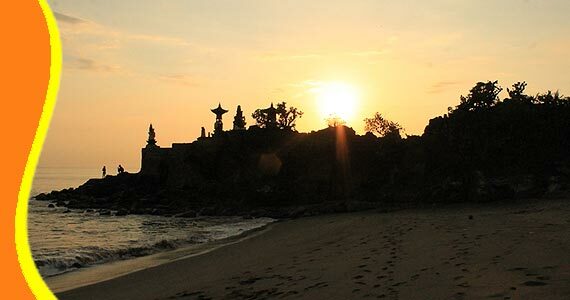 Mandalika Beach on Serenting Bay : Which is where the traditional Bau Nyale ritual takes place every year. The Nyale is a kind of sea worm which the locals believe that these Nyale are a blessing. 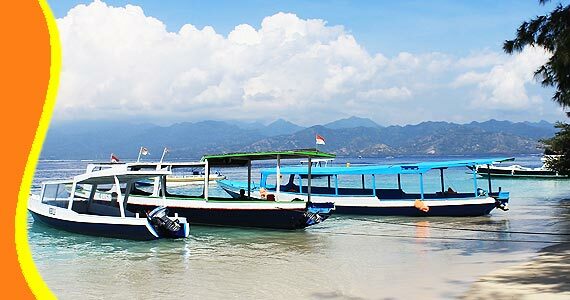 Others destination in Lombok island to visit : Tampa Beach, Selong Belanak, Gili Asahan, Bangko Bangko, Gili Gede, Sea Pearl Farm Teluk Nara, Mataram City tour, Naramada Temple and much more. In Lombok Island of Indonesia, there is beauty almost everywhere that one cares to look. White sandy beaches, a waterfall in the middle of a forest and green cratered volcanoes, all await the adventurous tourist like you.